An expert in educational psychology testified today that violence in the neighborhood, family income, food insecurity and other out-of-school factors are three times more likely to impact a student’s classroom performance than the effectiveness of the teacher. 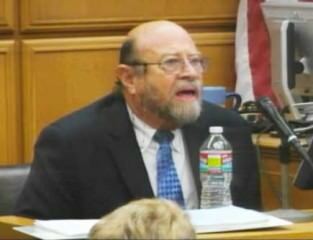 As a widely-published expert and now emeritus professor at Arizona State University, Berliner offered helpful testimony for the defense in the Vergara v. California trial, which is focused on how to minimize the impact and number of ineffective teachers in California public schools — at least until his cross-examination. One of the major issues in the case is the role teachers play in student achievement, as the plaintiffs contend that the inferior ones block access to a quality education. These teachers, the plaintiffs say, are protected by the current laws governing tenure, seniority and dismissal. Along with the witness who followed Berliner to the stand, Lynda Nichols, a consultant to the California Department of Education, the defense has now called 24 people to testify in the case, two more than the plaintiffs called. The defense is expected to call a few more witnesses through the middle of next week, after which the plaintiffs will take a few days to put on a rebuttal case. After that, the case belongs to Judge Rolf Treu for his ruling. Berliner seemed to shield teachers from much of the responsibility for poor academic performance by students as he testified that conditions beyond the classroom — he mentioned about nine of them — account for 60 percent of what influences a student’s scholastic achievement whereas in-school factors such as class size, curriculum, the quality of the principal and the teacher account for only 20 percent. He further testified that of the teacher impact only accounts for 10 percent. When asked by Deputy State Attorney Jennifer Bunshoft whether standardized test scores were ever intended to assess teacher effectiveness, he said they were not. He further testified that standardized test scores don’t provide enough information about what goes on in a classroom and should therefore not be used to assess a teacher’s effectiveness. During a contentious cross-examination, in which the lawyers talked over each other to make points, Judge Treu appeared more like a referee, asking all the lawyers to be patient and wait their turn. Plaintiffs then attempted to show that the professor’s statistics could have a significant margin of error, pointing out that teacher impact be higher than 10 percent. He agreed. Throughout the cross examination, Berliner appeared to agree with a number of other plaintiffs’ points, admitting that “there should be greater accountability of teachers in schools” and that union protections shouldn’t be an obstacle to dismissing ineffective teachers. He further testified that test scores are, indeed, one way to measure student achievement and that value-added models should be able to identify good and bad teachers. As for the tenure period, another major issue in the case, he said that principals should have more time to make decisions, as long as three-to-five years, which runs counter to a steadfast defense position that the current standard, two years, is sufficient. Back in front of a defense layer, Berliner qualified his answer, saying principals can make such decisions within the two years, as well. Nichols, a former teacher, told the court that she believed the dismissal and tenure statutes protected her rights as a teacher. The defense contends that such statutes serve important governmental interests shielding teachers from being unfairly dismissed or pressured by parents and school boards. She explained how teaching sensitive subjects like Islam, which she taught in her seventh grade history class, created difficulties for some parents. Previous Posts: Teachers refute ‘ineffective’ charges by Vergara witnesses; Witnesses in Vergara v. California hail collaboration despite API gaps; Vergara witness says state laws governing teachers work.